Everyone knows that people will go to dramatic measures to lose weight. Some will take over-the-counter or prescription weight loss pills, while others will embrace an unnatural or unhealthy fad diet plan. Any of these plans will work in the short term because it’s pure physics. Our weight is determined by the amount of energy we take in and the amount of energy we expend. By decreasing your intake of calories and maintaining your current lifestyle, you will lose weight. Unfortunately, there’s no way you can maintain these plans for a long period of time. Eventually, the body and mind will rebel such a restrictive regimen and you will instinctively crave higher calorie foods and gorge. Crash diets and pills simply do not work in the long run, because they essentially trick your body into thinking its starving. It’s important to know this is not your fault! This is a “gift” that has been passed down from our ancestors, during the hunter-gatherer days, to help us through times of famine. A body that is lacking vital nutrition will hold onto fat more so than one that is getting a balanced diet because the ‘starving’ body is preparing for the next starvation period. This is why we tend to gain more weight after stopping a fad diet. Your body is just responding to what you have taught it and that is to pack on as much fat (stored energy) as possible. Acupoint Injection therapy is a different way to lose excess weight without taking a handful of pills or following a fad diet. It is a natural therapy utilizing homeopathic substances and vitamins injected at acupuncture points that can increase your metabolism, improve digestion, control your appetite, smooth emotions, detoxify the body, and facilitate positive change. Used in combination with light to moderate exercise and not-so-extreme dietary changes, you can gradually lose weight and keep it off! According to Traditional Chinese Medicine, the root of excess weight is an imbalance within the body caused by malfunctioning of the spleen and liver energetic organ systems. The spleen (similar to your pancreas in western medicine) is responsible for the proper functioning of the digestive system, ensuring that the food we eat is transformed into Qi – the vital substance of life. Disharmony of the spleen will show up as fatigue, slow metabolism, water retention, loose stool, and a feeling of heaviness. It may also show up as lack of weight loss despite eating nothing but salads. If you are having difficulty losing weight and are eating tons of raw vegetables, a weak spleen energy may be the problem! The second likely culprit thwarting your weight loss goals is the energetic liver. The liver’s job is to keep the flow of your body’s Qi and blood (as well as your emotions) running smoothly. Our modern, fast-paced lifestyle and chronic stress can negatively impact the liver’s ability to function properly and smoothly, which, in turn, can cause the spleen and the whole digestive system to function poorly and decrease your metabolism. Liver disharmony can also cause some of the “triggers” that lead to cravings and compulsive eating. The beauty of acupoint injection is that each treatment is catered to the needs of the individual patient. Acupuncture points on the body will be chosen for overall well-being with the objective of increasing circulation of the blood and Qi (stimulating the metabolism) and calming the nervous system. Your first treatment will last approximately 1 hour, and subsequent treatments will be done in as little as 30 minutes depending on the person. For weight loss, we start with homeopathic injections to detoxify and prepare the body for positive change. These injections are performed weekly for the first 2 to 3 weeks of the weight loss plan. Next, we inject a combination of vitamins to assist in boosting your metabolism all while stimulating acupuncture points to amplify the effectiveness of the treatment. Vitamin injections are given weekly for a total of 4 to 5 weeks before we repeat the detoxification cycle. Alternating between a weight loss and detoxification cycle is done to ensure the weight you lose during this program is long-lasting. Additional treatments may include a combination of ear tacks or pellets (auricular/ear therapy), abdominal massage, breathing exercises, and healing food and lifestyle recommendations. 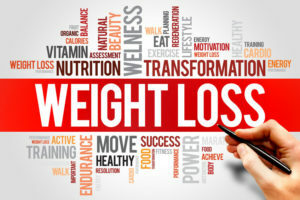 Foods that are chosen during a weight loss treatment are for promoting healthy digestion, energizing the body, and improving elimination of water, toxins, and waste products. Acupoint injection and Traditional Chinese Medicine are powerful tools for healthy weight loss, by itself or as a supportive treatment in conjunction with other weight management programs. In the struggle to eat less and expend more energy, you may find that our program is just what was needed to overcome cravings, boost energy, enhance your metabolism, and increase your willpower to succeed! Written by: Laura Clark L.Ac. Pharm D.